Every single day, all across the globe, extraordinarily creative and talented students sit in our classrooms bored out of their minds. These budding innovators may differ drastically in what particular domain captivates their attention, whether it's science and engineering, architecture and design, arts, music and entertainment, business and finance, law, or health care. Nevertheless, as Richard Florida points out, they "share a common creative ethos that values creativity, individuality, difference and merit." Since so much is at stake for increasing creativity in society, it's essential that we continually question and attempt to improve the methods by which we identify, mentor, and cultivate those who are ready and capable of becoming our next generation of innovators. Tragically, we are failing these students, often unknowingly letting them fall between the cracks in an education system that rewards characteristics that dampen creativity, such as conformity, standardization, and efficiency. In a recent survey conducted by Mary-Catherine McClain and Steven I. Pfeiffer, while 90% of the state definitions of giftedness in the United States include "intelligence" as an area or category of giftedness, only 54% include creativity. Even worse, only 9 states actually require displays of creativity for inclusion into gifted education programs. Part of the problem may be our identification methods for creativity. One prominent method is the use of portfolios. Typically, students who demonstrate exceptional talent in music and art receive the opportunity to produce a portfolio. Unfortunately, this leaves out many highly creative students whose area of passion (e.g., social entrepreneurship, video game design, contemporary dance, sushi chef, etc.) isn't so easily identified. Another prominent method of creativity assessment is the Torrance Tests of Creative Thinking (TTCT), which asks students on the spot to imagine alternate possibilities (Quick, be creative!). A common example of the kind of item on this test is: How many uses can you think of for a brick?While the TTCT has some validity, and predicts adult creative achievement better than IQ test scores, there are some serious problems with relying solely on the TTCT as a measure of a person's creative potential. For one, the TTCT measures a limited slice of creative cognition, namely divergent thinking. 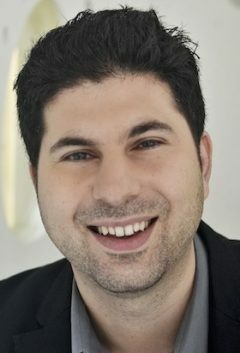 While divergent thinking skills (e.g., fluency of ideas, mental flexibility) are partially separate from the cognitive skills measured by IQ tests, a flurry of recent studies conducted by Paul Silvia and colleagues suggest that divergent thinking skills are much more strongly related to IQ test performance than researchers previously thought. The relationship appears to be due in large part to a shared reliance on executive functioning, which involves the ability to concentrate, keep a goal in working memory, and ignore distractions. This suggests that those with executive function deficits (e.g., people with ADHD), who already don't tend to shine under controlled, timed conditions, will also be less likely to shine in an on the spot creativity testing situation. Under less constrained conditions, however, reduced executive functioning can be highly conducive to creativity. Truth is, ground-breaking creative achievement is typically the result of many years of passionate engagement in a particular domain, with the creator attempting to come up with a novel solution to a perplexing problem. This crucial aspect of creativity-- sustained focus in a particular area of interest-- is not fully captured by a quick and dirty test of general creative potential. So what's the alternative? One promising alternative is to simply look out for creative responses during an IQ testing session. A few years ago, I co-authored a paper with James C. Kaufman and Elizabeth O. Lichtenberger where we gave specific recommendations for finding creative potential on IQ tests (read full article here). In particular, we emphasized the importance of adopting the "intelligent testing" approach developed by Alan S. Kaufman, which focuses on the person being tested rather than the measure itself to help form a more complete picture of the person. Another promising alternative is the use of checklists, which can supplement, and even in some cases supplant (depending on the individual student) traditional gifted education identification procedures. Some researchers, such as Steven Pfeiffer, have devised valid checklists that help alert teachers to students whose needs aren't being met in the traditional classroom setting. Pfeiffer's "Gifted Rating Scales" take educators about 5-10 minutes to complete and is based on current theories of giftedness and federal and state guidelines. The scales are meant for use in grades 1-8 and cover five domains: intellectual, academic readiness, motivation, creativity and artistic talent. 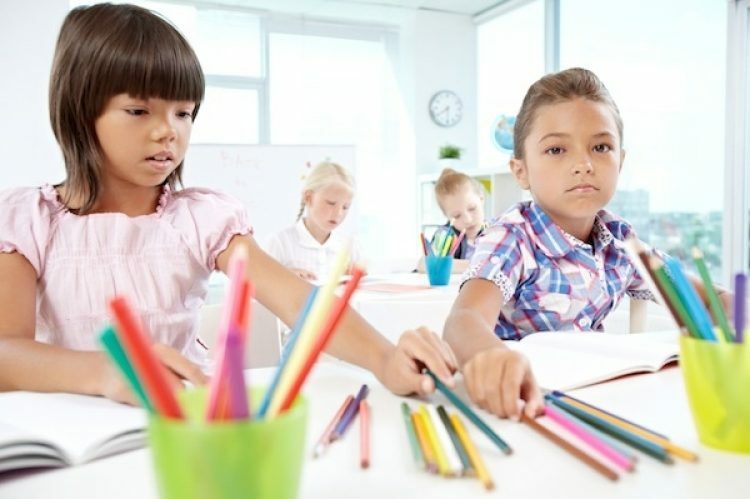 Creatively gifted students may be spontaneous, expressive, intuitive, and perceptive, with evidence of intellectual sophistication and childlike playfulness. They are very likely to be curious, open to new experiences, and innovative in many areas of their lives. They may express originality in thoughts, and are probably unafraid of what others might think of their ideas. Most likely, these students have a wide range of interests and abilities, and may be comfortable with ambiguity and disorder. Likely to be unconventional, creatively gifted students are imaginative, and may challenge the status quo. By late adolescence, truly creative individuals usually have significant creative accomplishments that have earned them recognition by experts in their domain. Then they sent letters to 60 coordinators of gifted education programs in Kansas and asked them to consult with lead guidance counselors and other departmental coordinators to match profiles with particular students. The suggested strategy was to first make sure the students had the core creativity characteristics, and then select the students that fit the domain characteristics. In total, 485 students, with an average age of 16, were selected who fit the creative profile. The researchers gave the profiled students a comprehensive battery of tests, which included measures of vocational interests, personality, needs, and values. What did they find? On average, the profiled students were high achieving in school, with an average GPA of 3.73. There was substantial variation, however, with a range of .85 to 4.0. Importantly, only 61% had been selected for gifted education programs. This suggests that traditional methods of identifying giftedness miss out on at least a third of the most creatively gifted students. This is in line with prior research showing that creative people tend to specialize early, zoning out when uninterested but focusing like a laser beam when engaged. This characteristic makes them less easily identifiable for traditional gifted programs. The creative students scored low in a need for order, cognitive structure, and harm avoidance. In contrast, they scored extremely high in play, openness to experience, and endurance. This is consistent with prior research, which shows that openness to experience is one of the most robust predictors of creative achievement. The seeming contradiction of extreme playfulness and endurance is also consistent with the many seeming contradictions found among creative people.The profiled students also displayed some characteristics associated with hypomania, such as high energy and gregariousness. In contrast, neurotic traits associated with depression were rare. According to the researchers, "the kind of high energy displayed by these students, however, appeared to be a healthy vigor and enthusiasm rather than a more dysfunctional bipolar spectrum characteristic." Another striking finding is that the creative students scored extremely high inabsorption, which includes the tendency to become absorbed in one's own thoughts and imaginings, as well as the tendency to vividly reexperience the past, engage in episodes of expanded awareness, and experience altered states of consciousness. Absorption is related to flow consciousness, a mental state in which time recedes in the background and one is fully immersed in the pleasure of creating. Eminent creators across many disciplines often describe the creative process as involving flow. Surprisingly, the creative students also scored high in affiliation, nurturance, and agreeableness. This is contrary to prior studies that have found that eminent scientists and mathematicians are more likely to be introverted and hostile. Instead, these creative adolescents appeared to be very friendly, socially oriented, and socially well-adjusted. It's certainly possible that teachers selected students who were more agreeable, or less well-adjusted students chose not to participate in the project. But an intriguing possibility is that the current generation of creative youth (the We Generation) is more connected, community oriented, and affiliative than prior generations. For a clear example of the change makers of this generation, I highly recommend the recent collection of essays edited by Syreeta Gates entitled "Just Be Cause". We live in a technological age with more possibility for realizing your unique vision than ever, and it seems our current youth are authentically motivated to change the world for the better. To clarify different kinds of creators, the researchers also looked at characteristics and interests that tended to cluster together. The first main cluster consisted mostly of students who displayed the core characteristics of creativity. These students were mostly interested in verbal, artistic, scientific-analytical, and musical forms of creativity. The researchers also identified clusters of social leaders, helpers, and conscientious, practical people. The identification of these additional clusters are important, as these students can also easily be overlooked in the mainstream classroom. Identification of extraordinarily creative students is just the first step. The ultimate goal isn't merely to sort, but to help. That's where The Counseling Laboratory for the Exploration of Optimal States (Project CLEOS) at the University of Kansas comes in. According to Barbara Kerr and M. Alexandra Vuyk in a chapter in the recent volume Creatively Gifted Students are not like Other Gifted Students, "the ultimate outcome of the CLEOS experience for students is to discover career options that respect and honor their creativity and interests, and to design a path in which they can accomplish their dream." On the same day Kerr and her colleagues administered their battery of psychological tests, the creative adolescents also saw the results of their assessments and were given the opportunity to discuss them with a counselor. The aim of the counseling session was to help the students see their real authentic selves and the narrative of their lives, instead of focusing on the results of a standardized profile. The students also engaged in a discussion of their flow experiences with counselors. In particular, the students were asked:What makes you feel passionate and lose track of time while at the same time being challenged to the maximum of your abilities? The counselors aimed to convince the students that something that is a source of passion should not be abandoned. Time permitting, students also had the opportunity to see their brain in flow. In small groups of up to 12 students, students took turns getting connected to a heart rate variability monitor or an electroencephalograph while the rest of the group watched the student's reactions. At first, students who were connected to the machine were asked trivia-like questions as a baseline to demonstrate brain activity associated with a "busy" mind. Next, the students were told to close their eyes, take deep breathes, and relax. The rest of the students in the group received the same instruction to help the student relax. Once a change in brain waves indicated a relaxed state of mind was achieved, the students were told to visualize a state of flow and mentally travel to that moment. Once the students entered flow, it became reflected on the monitor by a significant change in amplitude and frequency of brain waves. After the students opened their eyes, they told the whole story of their own unique visualization and related it to specific peaks or the slowing down of brain waves. The students also engaged in a visual imagery activity called "Future Project Day" in which they imagined themselves ten years in the future living a perfect work day. The students were encouraged to feel as though they were actually experiencing the activity. Considering this was a visual imagery activity, there was no pressure to talk or share the experience with anyone. This approach can be particularly beneficial to introverts. Finally, the CLEOS experience ended with a goal-setting session, in which students were encouraged to visualize a step by step approach (starting with small steps) to staying engaged and making their dreams come true. After this exercise, many of the students reported that the potential future they imagined during the Future Project Day activity seemed more attainable. The results have been promising. The creative students participating in Project CLEOS displayed greater increases in three crucial dimensions of occupational engagement-- attunement, enrichment, and exploration-- after attending just a single day at CLEOS in comparison to a wait list control group. In a follow-up six months later, 97% of the students reported engaging in specific behaviors that were related to the three dimensions of occupational engagement, and they reported feeling positive about the steps that were taken. In particular, students demonstrated high levels of attunement by remembering the purpose and results of their assessments, and knowing how to make decisions that fit their interests, personality and values. This all led to reaffirming identity, choices, and peers. In terms of enrichment, students expanded their overall knowledge and life experiences by doing things such as signing up for art classes, entering writing competitions, and creating films. Students demonstratedexploration by actively pursuing their career development, doing things such as researching about colleges that suit their needs, job shadowing, part time jobs, museum visits, and taking required exams for college admissions. Importantly, the participants attributed their increased occupational engagement to their experience in the CLEOS workshops. On one level, all of this research shows that the needs of highly creative students-- which are so frequently ignored in the mainstream classroom-- can be addressed. But on another level, I believe this research also shows the incredible potency of treating each student as an individual, with his or her own unique life story, personality, values, interests, and developmental trajectory. In my view, the more we actually pay attention to the passions and needs of each and every student, the greater the chances we will significantly increase the creativity of the economy and society, as well as increase flow, personal happiness, and meaning in life. For more on creativity and the many paths to greatness, see my forthcoming book “Ungifted: Intelligence Redefined, coming out this summer from Basic Books. Acknowledgment: Many thanks to Barbara Kerr for her assistance with this article. Language; Verbal/linguistic creativity; potential writers, journalists, translators, and linguists. The student is likely to be a precocious and avid reader with an extensive knowledge of literature; a sophisticated writer; may have advanced ability to learn other languages. The student should have outstanding verbal accomplishments. He/she may be witty and expressive. Verbal precocity may get him or her in trouble. The student is likely to have excellent grades in Language Arts/English/Foreign language when interested, and have high scores on verbal achievement tests. May have mood swings, ranging from expansive, energetic, optimism when he or she works day and night with intensity on a project, to periods of self-doubt, low energy, and cynicism. The student may be a natural mathematician with an ability to perform complex computations in his or her head or who possesses an advanced understanding of mathematical and scientific concepts. The student loves science, experimentation, and new technology. In addition, the student enjoys manipulating materials and information, tinkering, adjusting the designs of objects, apparel, hardware and software. Intense curiosity and fascination with enigmas and unsolved problems leads this student to read widely and in depth. If challenged, the student has good grades in math, science, and laboratory classes; if not, the student may expend little effort.Most scientists and inventors as adolescents had significant accomplishments such as winning regional or national math and science competitions, or having patentable inventions or designs that were income-producing. These students are usually well adjusted, but are likely to have just a few like-minded friends. These students are characterized by emotional intelligence, meaning they have the ability to understand and manage their own emotions and those of others. The student may be a natural mimic, able to do impressions, absorb accents, and ‘‘get inside another’s skin.’’ The student may be the kind of helper that other students seek out for help and or a natural leader who is usually selected by peers to lead in both formal and informal situations. They are extraverted and people-oriented, able to form relationships across cultures and age groups; agreeable and friendly toward all. They thrive on connection, and experience deep empathy. They may have excellent grades in social sciences, debate, rhetoric, and leadership courses, as well as recognition for performance, leadership, or volunteerism. The student has the ability to sing or play instruments— usually multiple instruments—or to dance with technical expertise and imagination. She or he may have an intuitive understanding of music or movement, and often has perfect pitch, excellent rhythm, and musical memory. The student can compose or choreograph; his or her own creations have won the recognition of experts. The student dances, sings, and performs as often as possible—but may be defensive, anxious, or perfectionistic, sometimes leading to denial of coveted roles while in school. These students possess excellent musical knowledge in one or more genres, such as hip hop, jazz, pop, or classical, and may have sought out rare and little known pieces for inspiration. Although more introverted than extraverted, the student is likely to be transformed on stage into an expressive, creative performer, entering a flow state that conquers shyness or anxiety. The student has a powerful ability to visualize designs, colors, and to manipulate 3D images in mind and an ability to draw models and designs with technical skill. The student is imaginative and original in thinking, conversation, and attire. He or she creates cartoons, Web sites, paintings, graphic art, sculpture, photography, video, or architecture that has already earned the recognition of experts. The student may have excellent grades in art, photography, shop, drawing, or other course emphasizing spatial/visual ability, but may underperform in other classes. Like writers, artists are likely to have mood swings, but those students who lean more toward design and architecture may be more stable in mood. The student is more introverted than extroverted, reflective, and easily enters flow states.